When I was little we used to spend most holiday's at my aunts house on the Olympic Peninsula in Washington state. Her house was surrounded by large pine trees (think Twilight) and was tucked away from all the big city hustle and bustle, which as a child that sounded terribly boring but the older I get I see why my parents were drawn there. In the end I always had a great time, it was a pretty amazing place to spend Christmas and not just for the location. Every year there would be fudge at her house. While you may not think that is a big deal, I came from a household of little to no sugar and that fudge was as close to mainlining sugar as I would get all year. I would walk by the table where it was out and swipe a piece (sometimes two) as often as I could all day long. A few times I would get caught, but a few minutes later and I would be back on the circuit. It's amazing I didn't throw up. So now every December I start thinking fudge without even trying. At first I was a little afraid to try and make it myself because it involved a candy thermometer and then it just seemed like to many steps. Then I found the 5 minute fudge (To be accurate it takes me 10 minutes from gathering the ingredients to cleaning and drying the bowl. Really). Well it sounded just to good to be true, but it was quick and it was delicious. So each year since I have been making and giving away my microwave fudge to rave reviews, but something was nagging at me. Was this as good as the old fashioned? What if I tried a more old fashioned styled version of it, would it be better? 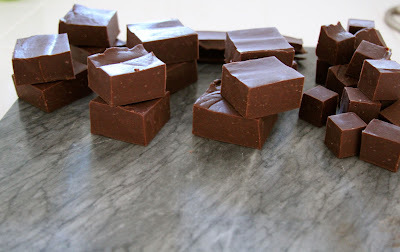 Then as luck would have it I came across this recipe and thus was born the Fudge Off 2012. I am putting my tried and true quickie microwave fudge against a little more work, but pure ingredient kind of microwaved fudge. Let's get started! I have no recollection where I found this recipe originally. It's so easy to remember that I never had to look it up again! In a large bowl combine chocolate chips, butter and sweetened condensed milk and microwave on high for 1 minute, stir and then continue to microwave in 30 second intervals (stirring in between each one) until completely melted and smooth. Add vanilla and pour into greased 8x8 pan. Chill several hours before cutting. Tip - spray the 8x8 pan with cooking spray and then place parchment paper in pan. It's so much easier to get it out this way. Still delicious and so ridiculously simple to make it's hard to justify the time it takes to make it any other way. Pros - Super silky, fool proof, same recipe can be used with different chips (white, peanut butter, etc.) for variety, quick, delicious. After reading the reviews I made a few changes to the recipe to make sure I ended up with the smoothest and best fudge I could. The ingredients remain the same, however the technique is a little different. Sift sugar and cocoa powder into a large bowl, then whisk to combine. Heat butter until melted completely in microwave approx 1 minute. Add milk and microwave an additional 30 seconds. 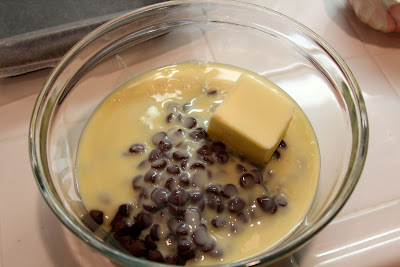 Pour milk into dry ingredients and stir, slowly adding in butter until chocolate is smooth and shiny. Add vanilla and mix well. Pour into greased 8x8 pan. Chill several hours before cutting. Same tip - spray the 8x8 pan with cooking spray and then place parchment paper in pan. It's so much easier to get it out this way. 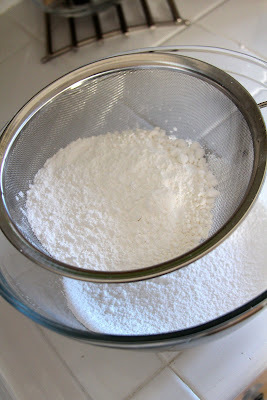 Cons - Sifting and without doing this step you could end up with lumps (Lumpy fudge = gross), takes a little more time. The results? Well let's just say I like them both, but will continue with quickie fudge because I love anything that involves only one bowl to clean and hate sifting. 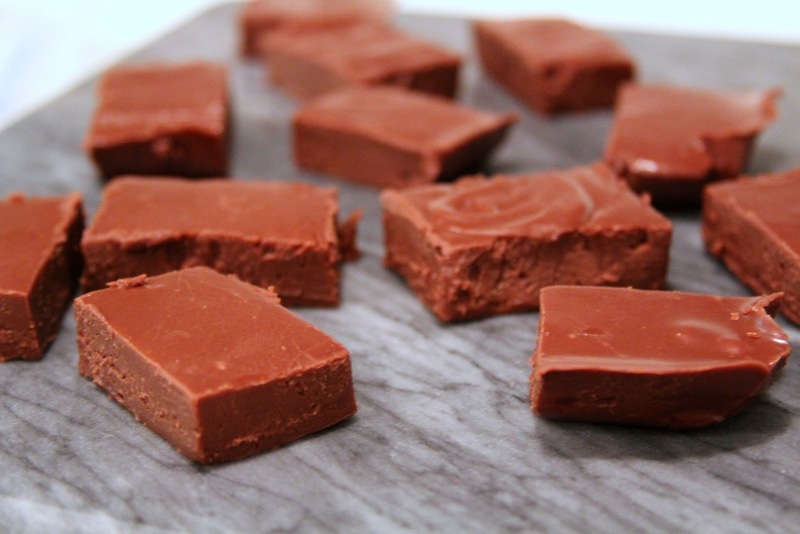 That said both produced good fudge, but the best reviews came from my trusty one bowl recipe!